Although inbound marketing has been around for some time now, there’s still a common misconception that it can be incredibly time consuming. That's not entirely true. Even though it takes a variety of different marketing methods to convert customers, both inbound and outbound marketing work better when you're organized and laser focused. That’s why it's important to have a full understanding of your company, your customers, and what type of content you'll create before finalizing your inbound marketing strategy. If you're still not sure what inbound marketing exactly is, you can define it as marketing tactics that attract customers to you rather than you seeking them. In metaphorical terms, inbound marketing is like a magnet attracting the buying demographic you want. But how do you really know if you'll attract people who will actually buy from you? 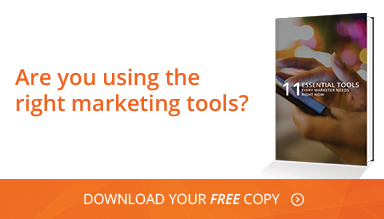 It's here where you need to have an astute strategy toward understanding your target. Without this understanding of who they are as consumers, you can never know what they’re looking for and how you can give it to them. Much of this involves doing research, which admittedly does take time and effort. But the insights you will gain through this process will save you whatever time—and money—you would have otherwise wasted attracting the wrong people. A quality lead means finding prospective customers you know have the best chance of buying from you rather than staying on the fence. You may want to start off your strategy by deciding on how many of those qualified leads you want to attract. Before you create any content for them, however, you need to understand who they really are. Many companies now use the customer persona route to determine what kind of customers would best fit the demographic. You can determine this by participating in social media conversations or by interviewing the buyers you already have. Determining a target market is further honed by talking to experts within your company. If you have a sales team who deal with those who buy—and those who don’t, for comparison—it would behoove you to tap into their experience. They can help determine what really makes up a qualified lead so you don't go into your inbound marketing strategy unsure of who the most valuable customer even is. Once you've found out who to market to, where do they spend most of their time online? In the realm of social media, it could mean a social media channel you didn't expect like Pinterest or LinkedIn. Both of those are very different in the types of people who normally post there, though you shouldn’t necessarily think with a herding mentality. Most of the popular social networks have a large amount of demographic crossover. It's possible the people you need to market toward don't even hang out on social media. Maybe they're more industry-focused and post on industry message boards. Some may only respond to content through emails, which can help hone your email marketing campaign. Don't focus on just one place. You'll need diversity in the places where you market to gain your qualified lead quota. Content is the heart and soul of your inbound marketing strategy. It's time you found out what your audience would respond to the most and create it as soon as possible. Whether you discover that they prefer more visual content, or don't mind more detail-oriented media like e-books or whitepapers, don't waste time on content you only assume people would like. Creating content takes valuable time, and you want to use your time in a way that brings a huge ROI. One of the best ways to find out the above information faster is to gather an email list and survey those leads on what kind of content they prefer seeing. One thing you'll likely find out is that the best-performing content is often emotional. In that regard, it doesn't always matter if it means hitting squarely on customer pain points to create the emotion. As long as it’s consistent with your company voice and overall brand, there’s a good chance people will respond to it. Remember, there is no such thing as a magic bullet solution to your marketing questions. But by doing the legwork now and getting a true understanding of who your ideal customer is, you’ll save yourself a lot of time and headaches related to your inbound marketing strategy down the line.